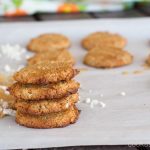 Don’t knock these peanut butter cauliflower cookies until you try them – grain-free and no refined sugar … but with cauliflower for the added crunch! It looks like I’m becoming known for some of my strange food combinations. 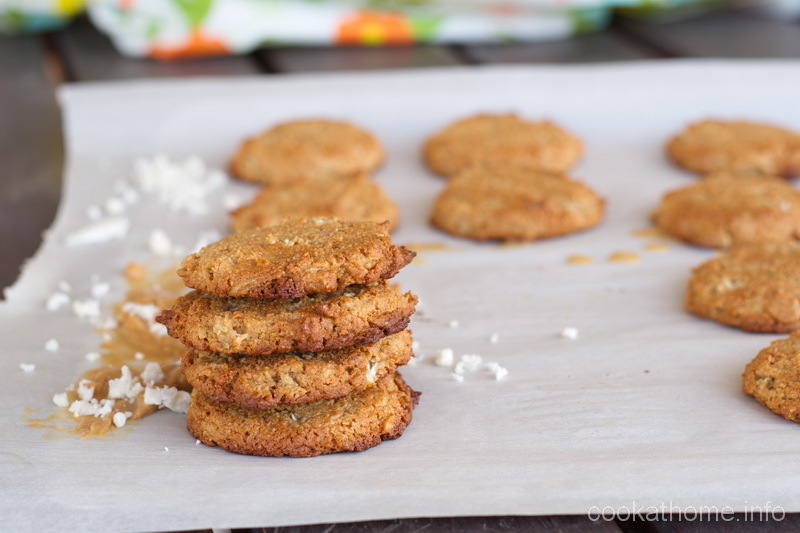 Like these peanut butter mystery cookies. Or putting cauliflower into a chocolate dip. Just as some examples. But you know what? They work for me. And honestly, I’m only putting recipes on this website that I personally like. And so the recipe was born. I took these cookies to work and challenged my colleague to choose the secret ingredients (similar to my mystery cookie challenge). I had to tell them it was a vegetable … but even then they didn’t guess. 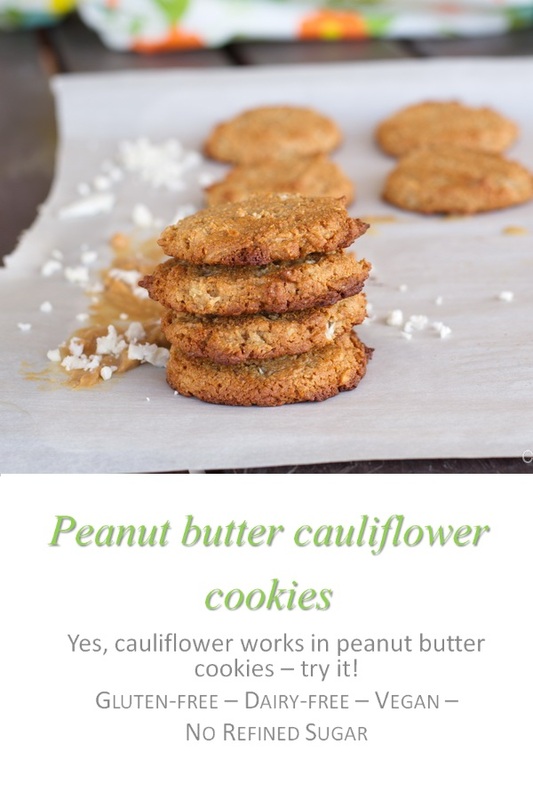 But what came as a shock to me was revealing cauliflower as the veggie in these cookies led one of my co-workers to be grateful he didn’t have any … he had recently had a stroke and the doctors told him not to have cauliflower for a few months as his blood thinners worked their magic. So be warned – don’t use cauliflower with people who have recently had strokes! But for everyone else, give these cookies a go and let me know what you think! Preheat oven to 180C/350F and prepare two baking pans with parchment paper. Combine the peanut butter and maple syrup until creamy. If peanut butter is difficult to stir, put in the microwave for approximately 30 seconds. Place tablespoonfuls of batter onto the parchment paper and bake for 10-12 minutes. Allow to cool on pan before moving to wire rack to cool completely.